Animation has a lot to do with acting. That is, character animation, not the standardized, mechanical process of animation. Acting and animation are highly creative processes. This book is divided into two parts: From film history we learn about the importance of actors and the variety of acting that goes into animation; then, we will turn to the actor's point of view to describe the various techniques involved. 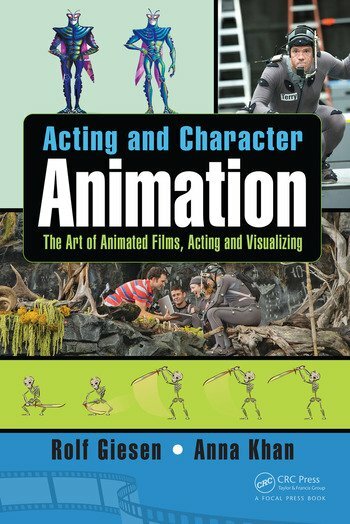 Through exhaustive research and interviews with people ranging from the late Ray Harryhausen, Jim Danforth, Joe Letteri, and Bruno Bozzetto, this book will be the primary source for animators and animation actors. Foreword. Introduction: No End to Childhood. The Story of Actors and Acting in Animation. Chalk-Talking on Vaudeveille Stage. An Actor's Vision of Optical Poetry. Shadow Plays and Shilhoette Films: The Adventures of Prince Achmed . Rotoscoping: Dave Fleischer as Ko-Ko the Clown. The Peak of Character Animation: Walt Disney. Animated Characters: Intercultural Idiosyncrasies. Voice Actors. Animators Become Actors and Actresses. Acting With Animated Characters. Dancing With Animation. Comedians. Pixilation: Animating Actors. Acting Against the Odds of Visual Effects and Animation. Synthespians: The Art of Performance Capture . Avatar and Beyond. A Nod to Computer Games. Performance and Creativity Training for Animators -- A Practical Guide. Writing Animation: Role Profiles and Case Studies. Acting in Storyboard Sessions. Character Design and Posing. Emotional Expression and Movement. Scene Study and Action Analysis. Facial Expression. Performance Capture Techniques. Feeling Characters: Visualization Techniques. Selected Filmography. Bibliography. Index. Dr. Rolf Giesen is a German film scholar, film journalist and nonfiction author. He is one of Germany's leading specialists in the Fantastic Film, Animation and Horror. Anna Khan is an experienced actress and director who later specialized in acting for animation. Both authors worked together in various universityies and academies in China and Taiwan.